Insecticidal delta-endotoxins of Bacillus thuringiensis are among the most abundant recombinant proteins released by genetically modified (GM) crops into agricultural soils worldwide. However, there is still controversy about their degradation and accumulation in soils. In this study, 14C-labelled Cry1Ab protein was applied to soil microcosms at two concentrations (14 and 50 μg g−1 soil) to quantify the mineralization of Cry1Ab, its incorporation into the soil microbial biomass, and its persistence in two soils which strongly differed in their texture but not in silt or pH. Furthermore, ELISA was used to quantify Cry1Ab and its potential immunoreactive breakdown products in aqueous soil extracts. In both soils, 14CO2-production was initially very high and then declined during a total monitoring period of up to 135 days. A total of 16 to 23 % of the 14C activity was incorporated after 29 to 37 days into the soil microbial biomass, indicating that Cry1Ab protein was utilized by microorganisms as a growth substrate. Adsorption in the clay-rich soil was the most important factor limiting microbial degradation; as indicated by higher degradation rates in the more sandy soil, extremely low concentrations of immunoreactive Cry1Ab molecules in the soils’ aqueous extracts and a higher amount of 14C activity bound to the soil with more clay. 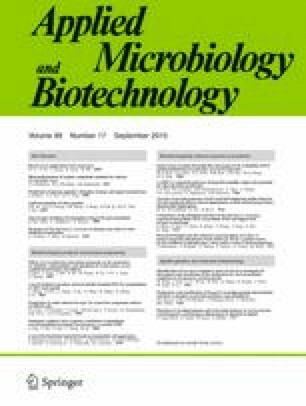 Ecological risk assessments of Bt-crops should therefore consider that the very low concentrations of extractable Cry1Ab do not reflect the actual elimination of the protein from soils but that, on the other hand, desorbed proteins mineralize quickly due to efficient microbial degradation. This study was supported by the excellent technical assistance of Kathrin Ahrends, which we gratefully acknowledge. We thank all collaborators of the joint research projects “Biosafety and monitoring methods of Bt-maize” and “Field release accompanying research on transgenic Bt-maize”, both coordinated by Ingolf Schuphan and Stefan Rauschen, RWTH, Aachen, Germany. The work was financially supported by the German Federal Ministry for Education and Research, project numbers 0312631E and 0313279F.